staring at the sea. And the sea stares back, defiantly. "...In the next in a run of extraordinary collections, González faces the grim realities of climate change and considers America's past and future..."
"In a vital body of work that now encompasses multiple genres, Rigoberto González has been practicing the seer's art of illuminating the social through the personal, the present and the future through the past, and the work of wonder through the work of grieving. The Book of Ruin is his darkest reckoning so far with the violent histories that embitter our current moment and whose damage is propelling us into a scorched hereafter. Full of lost children and searching parents, ghosts and mourners, this book is engaged in a king of calamitous divination. And yet, like the firefly that is one of the book's most moving images, González's vision generates a refractory and rich light." González's The Book of Ruin haunts from shore to shore, ghosting across time and language, rediscovering humanity's capacity for light in the tomb of catastrophe. These poems are a caution tattooed onto parable and tethered to history's breath. Delivered with unyielding craft and electrifying vision, González has been sent to remind us the fabled ways in which—The crack in the earth, it is us. The crack in the earth, it is ours." 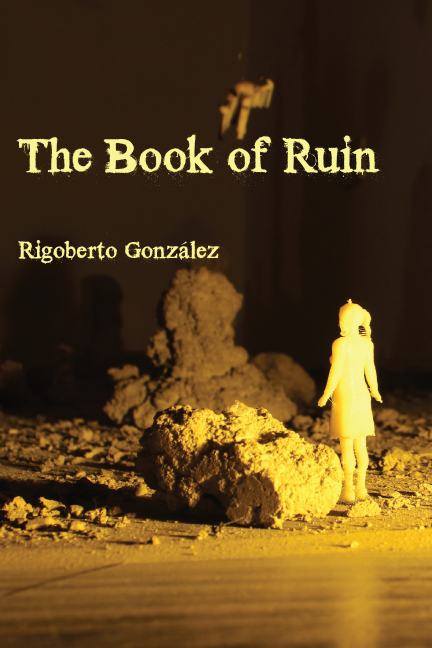 “In his fifth full-length collection American Book Award winner Rigoberto González binds narratives of loss and rebellion with the notion that ‘a soaring spirit held captive/ becomes reactive.’...” Read the full review. "A book of pain and sorrow expiated by lyricism....” Read the full review.